Defined by its natural environment, the town of Burlington is on the western edge of central Connecticut’s Hartford County borders the Farmington River, and is home to Sessions Woods Wildlife Management Area. Incorporated in 1806, Burlington and its many resources—waterways, forests, granite, and copper deposits—attracted small manufactories that made flintlock muskets, mantel clocks, carriages, coffins, and other goods. Never as heavily industrialized as surrounding areas, Burlington today retains its rural character. Contributors to history with Burlington connections include early American balloonist Silas Brooks and Ludella Peck, one of the first American women educators at the college level. “Burlington Historical Society,” 2012. Link. “The Farmington Canal Heritage Trail.” Farmington Valley Trails Council, 2016. Link. “Burlington - WPA Architectural Survey.” Connecticut State Library Digital Collections, 2013. Link. “Photograph - Charcoal Pit Before Firing, Burlington, October 10, 1890,” 1890. 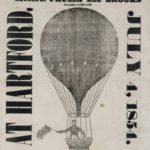 Connecticut History Online, Connecticut Historical Society. Link. “Photograph - Charcoal Pits Burning, Burlington, October 10, 1890,” 1890. 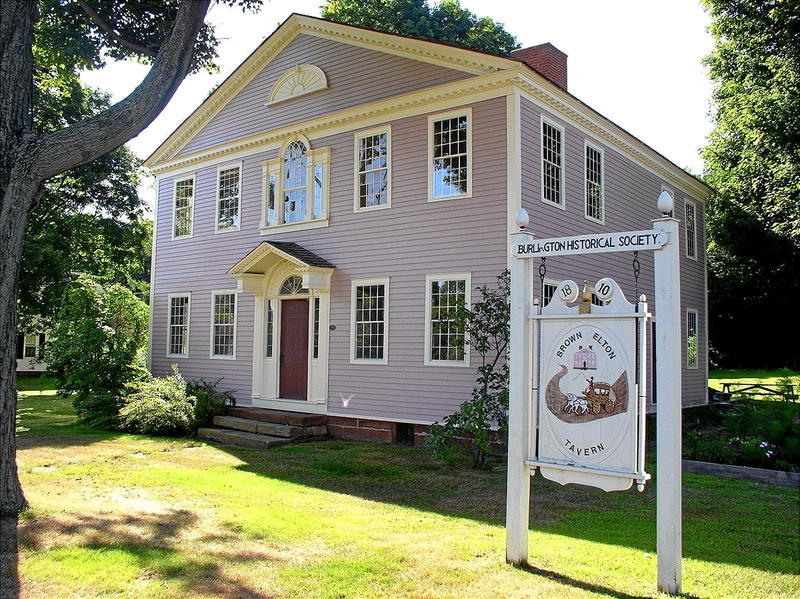 Connecticut History Online, Connecticut Historical Society. Link. Martin, Jean. Burlington. Charleston, SC: Arcadia, 2001.